I recently subscribed – thanks to a stupendous Living Social deal! – to a farm club that delivers weekly bundles of organic fruit and vegetable goodness. In addition to lots of yummy potatoes, onions, apples, oranges, grapefruit, and lettuce, this week’s delivery included a scrumptious looking bunch of kale and a few juicy pears. So I decided to turn this autumnal loot into a deliciously healthy salad. 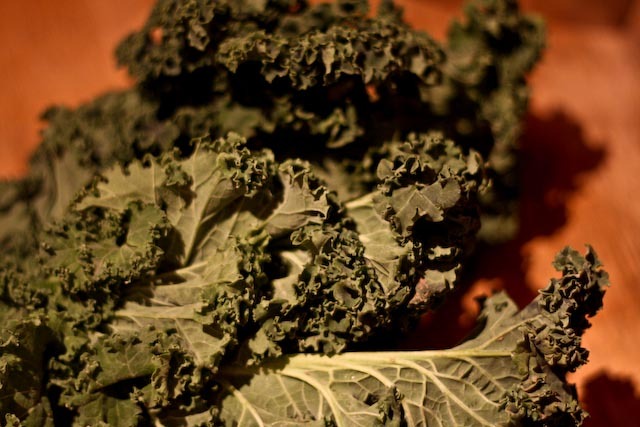 One of my favorite ways to eat kale is by baking it into crispy, crumbly kale chips. It only takes about 10 minutes, and the kale is almost transformed into potato-chip-like crispy, crunchy, salty goodness. And they are super tasty crumbled on top of a salad! 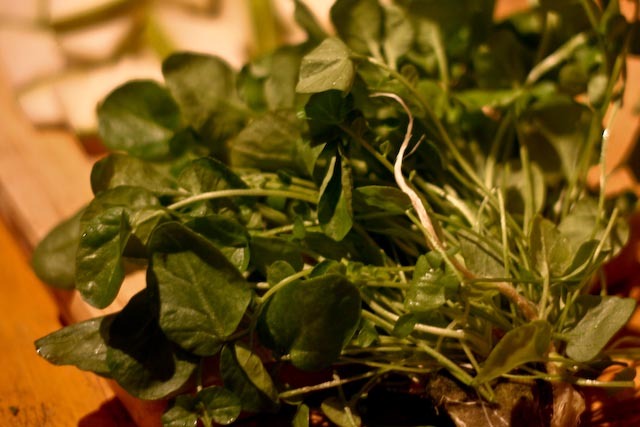 I used a mixture of watercress and spinach, which also came with my organic produce delivery, but you could easily make a salad like this using any number of different greens. I think this salad pairs nicely with a honey mustard vinaigrette, but you could also try a slightly sweet balsamic vinaigrette as well. I topped off the salad with crumbled goat cheese and pecan pieces. 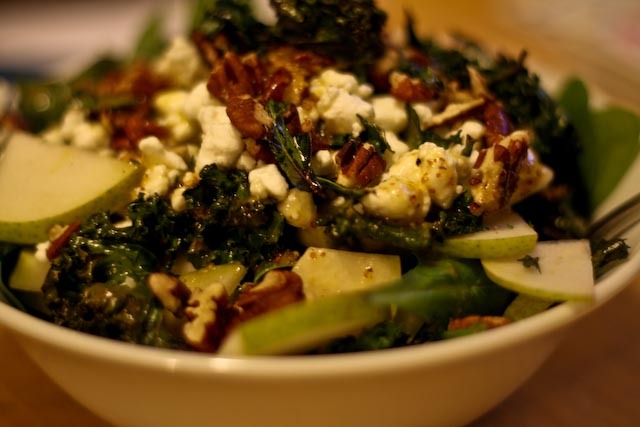 This would also be great with walnuts, dried cranberries, gorganzola, or even feta. Endless options! Preheat oven to 350°F. Tear kale leaves into bit size pieces and place on a baking sheet. Drizzle with olive oil and season with salt and pepper. Toss with your hands to coat. Bake for about 10 minutes, or until the kale is crispy. Set aside and allow to cool for a few minutes. 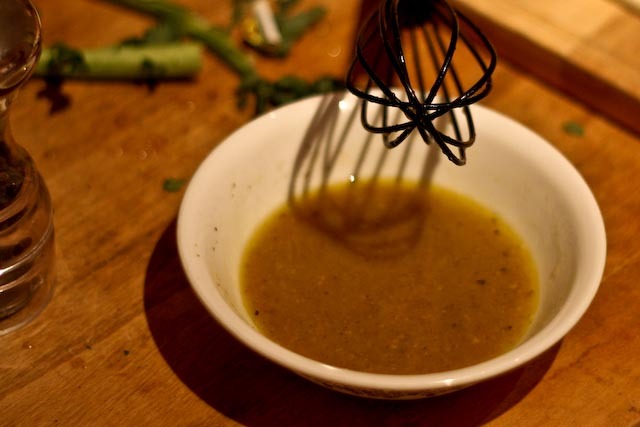 To make the vinaigrette, in a small bowl combine mustard, honey, salt, pepper, and vinegar, and whisk well. While whisking, slowly add in olive oil. 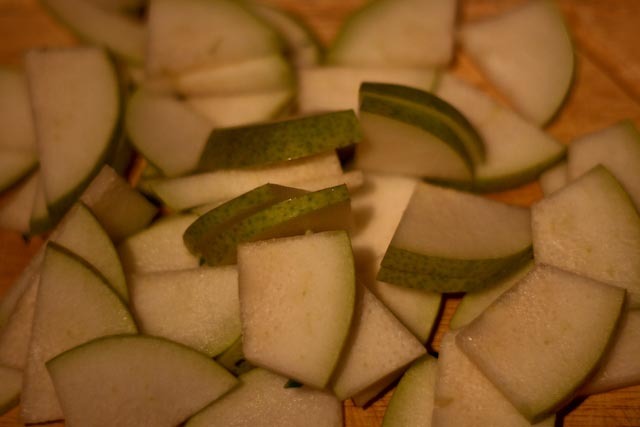 Divide spinach, watercress and pears into two servings. 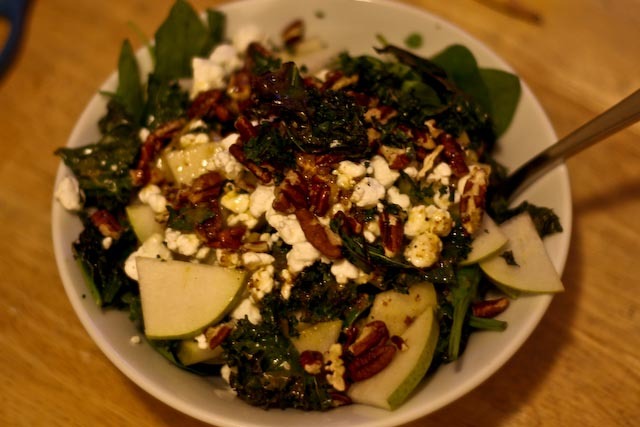 Top each salad with goat cheese, pecans and kale. Drizzle with vinaigrette. Looks amazing. Feel free to come over and make it any time.